We’re picking up right where we left off last week, with our continuing series of interviews from Star Wars Celebration Europe! 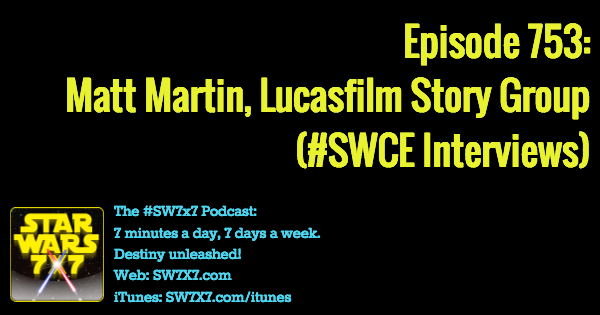 In the follow up to the excitement question, Matt and I get to talking about spirituality in the Star Wars universe. I think this is a topic to watch, and Matt seems to support the idea that we’re going to see more of that space developed in the future. Now it’s your turn. 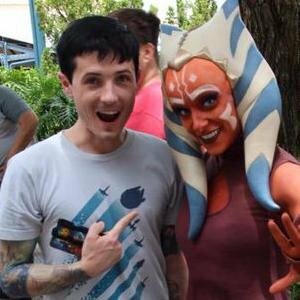 What do you think about spirituality being explored in the Star Wars universe beyond the basics of Jedi vs. Sith? Have your say in the comments! And here’s the link to the Club Jade story with the additional Thrawn details! Today’s question: What does Rey stare at long enough to stop washing the parts she intends to trade with Unkar Plutt? Great episode (as always! ), BUT, who originally put you in touch with Matt? 😉 —Sorry, just teasing, couldn’t help myself!